Thank you for joining me today as we reflect together on the readings of the Second Sunday of Lent. Once more we are presented with an opportunity to contemplate the Love of God for humanity: to deepen our prayer life, to practice fasting, which is a way of denying oneself the excesses of life, and to practice charity and compassion by becoming aware of not only the sufferings of Christ but also the sufferings of others – and reaching out to them in love. Fasting and charity go hand in hand. In this season plan to give something, however small, to someone in need. Like any of us would, Abraham had difficulties fathoming the promise, he asked, “How am I to know that I shall possess it?” God was to show a sign to Abraham; He instructed Abraham to take a series of animals, cut them in two, and lay each half opposite its counterpart. Then, at sunset, a deep sleep fell on Abraham. A significant episode takes place, whereby “a smoking fire pot and a flaming torch passed between those pieces.” We see the covenant being sealed with the sacrifice of animals, on the part of Abraham, and a fire, on the part of God. Think about it, Abraham’s encounter with God occurs amidst the ordinariness of his life. So does God speak to us in the ordinariness of our lives – if we dared to listen to him, reflect on his Word, and obediently respond! In the same way, the voice of God speaks to us in the ordinariness of our own lives; how often do we stop to listen? This segues into the Gospel reading. Luke recounts how Jesus calls three of his disciples together, Peter, James and John, and leads them to the mountain to pray. This Mountain of Transfiguration, has the grace of the Holy Spirit. The Mountain is a holy place of prayer, a placeof encounter, a placeof revelation. In the presence of thethree disciples, Jesus is transfigured!Luke describes, “His face changed in appearance, andhis clothing became dazzling white.” Two men were conversing with him, Moses and Elijah; they appeared in Glory and spoke of his exodus, which he was to accomplish in Jerusalem.… “Then from the cloud came a voice that said, "This is my chosen Son; listen to him." These elements are critical even today. God continues to reveal Himself to us through events and experiences in our lives and through the Scriptures. The Word of God is communicated to us in the Scriptures. How disposed are we to listen to the scriptures, the Word of God, and how do we act on what we hear? During baptism, we are given a live candle signifying light, and we are called upon to be the light of the world. Does our way of life light the way for others? God’s voice exclaimed, “Listen to Him.” We are invited to listen to him as he speaks to us in the scriptures and to get out and share our experience with others. A few years ago, while I was taking a walk in the neighborhood, I could not help but hear the arguing of a couple who was having a bad day. I did not know the underlying reason for their argument, but the more they argued, the louder their voices became. I wondered why they are so loud when they are in the same house. They were talking so loudly that they called the neighborhood to hear how angry they were with each other? Then it dawned on me: neither of them listened to the other. I realized that their hearts were thus separated, and their ears were so blocked by anger that they could not hear each other, regardless of being an inch from each other. God instructs us, “Listen to Him;” do we have any barriers that separate us from each other and God, such that we do not listen to each other or God’s Word? To hear the message, we have to be attentive and focused on listening carefully. The seed of the Word of God readily grows in the listener’s heart when watered by kindness, endurance, resilience, and support of the community. The Transfiguration event empowered the disciples to face the difficulties and pain of the cross and to proclaim the message of the resurrection. The lesson of the Transfiguration is to follow Jesus without fear; he is the way, the truth and the life (Jn 14:6). No matter how difficult the problems may be we should not be discouraged, we should be aware that there is a happy conclusion. 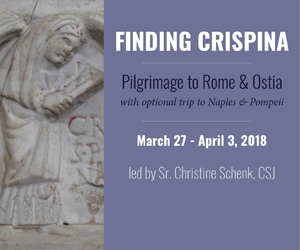 As Jesus took the three disciples to prepare them for his Passion, so too, the experiences we are going through could be God flexing our spiritual muscles to prepare us in our journey of faith. We also learn that Words have creative power. The words we use to speak to others can reawaken faith, renew the dreams, and rekindle hope. Through the Word, Abraham received blessings; through the Word, God revealed his Son Jesus to the disciples. God has put potential in us, to use words to encourage, to rekindle faith, hope and love, to compliment, affirm, and to bless others. Finally, God meets us right where we are, and in the ordinariness of our own lives, but we too have a responsibility to pause, to listen, and to open our eyes to see what God is asking of us. What action do you take? Abraham heard God’s promise and responded by laying the sacrifice; the disciples responded by following Jesus and bearing their crosses to the end. What is God asking of you? And how will you respond to the ask? May this Lenten Season be for us a moment of encounter with our God. May we be moved by this encounter to embrace one another with love and compassion! 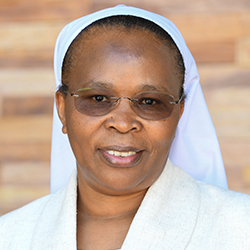 Sister Jane Wakahiu, LSOSF, Ph.D., is a member of the Institute of the Little Sisters of Saint Francis, Kenya. Wakahiu oversees the planning, development, implementation, and evaluation of the Conrad N. Hilton Foundation’s Catholic Sisters Initiative and its Catholic Education Programs. 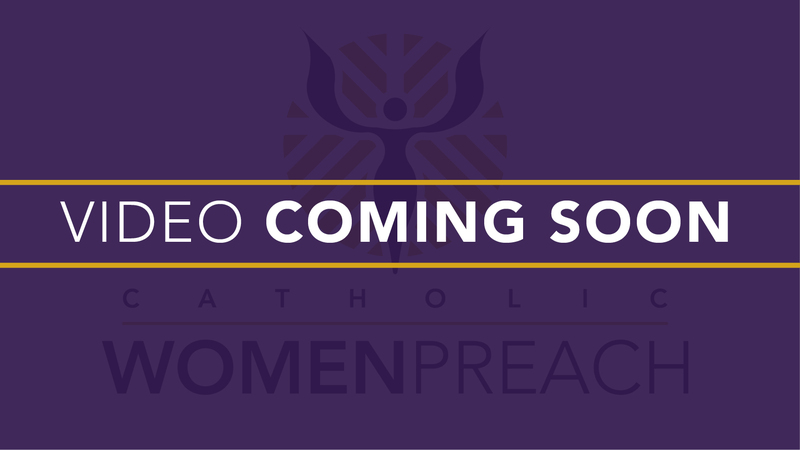 Her responsibilities are to advance the vitality of congregations of women religious globally, enabling sisters to contribute more profoundly to sustainable human development, as well as to enhance the effectiveness of Catholic schools. She also contributes to the Foundations strategic planning and implementation. Before joining Conrad N. Hilton Foundation, she was the Executive Director of the African Sisters Education Collaborative (ASEC) where she implemented the Collaborative’s many programs by working closely with conferences of major superiors, religious congregations and institutes, twenty-three partner colleges and universities in the United States and Africa, and major foundations. Wakahiu lead the first ASEC’s strategic planning, provided technical support to training partners and building coalitions to execute educational programs across ten countries in Africa. Has extensive experience in developing strategic frameworks, management of complex change initiatives, fundraising, international program design, and implementation, and strong analytical skills. Wakahiu has extensively taught at the undergraduate and graduate level at Marywood University, designed higher education and leadership development programs, and has a breadth of teaching and administrative experience from leading a high school in Kenya and as a leader of women organizations. She has served onvarious boards and advisory boards of high school and women organization in Africa including the African Sisters Education Collaboration. An accomplished author and the editor of, “Transformative Partnerships: The Role of Agencies, Church and Religious Institutes in Promoting Strategic Social and Sustainable Change in Africa,” lead editor of, “Voices of Courage: Historical, Sociocultural and Educational Journeys of Women Religious in Africa,” and co-author of, “Fundamentals of Research Methods in Education: A Students’ Handbook.” Wakahiu’s peer-reviewed articles are published in national and international journals and a contributing writer for the Global Sisters Report. Wakahiu earned a Bachelor of Education Degree from Catholic University of Eastern Africa, Kenya, a Master of Arts Degree from Saint Bonaventure University, Olean, New York, and Ph.D. in Human Development/Higher Education Administration from Marywood University, Scranton, Pennsylvania.